I wasn't sure what to expect from the April 10 Cane Rum Club when I received the invitation that read I would be guaranteed to regret if I missed out on the session and sure enough I found myself making my way to the Golden Monkey after work on a Monday night, not that I needed much convincing in the first place. I had heard rumours of Moët Hennessy changing the bottle of 10 Cane Rum and as I later found out it was much more than the bottle they had changed. The Rum Club, hosted by Mick Formosa, was a kind of a re-launch for 10 Cane Rum that apparently had undergone a reformulation from pure sugar cane juice rum to something a little different. Before the rest of the crowd arrived, I had a chance to chat with Mick for a while before his presentation and relax in the corner of the bar sipping on a 10 Cane Daiquiri. 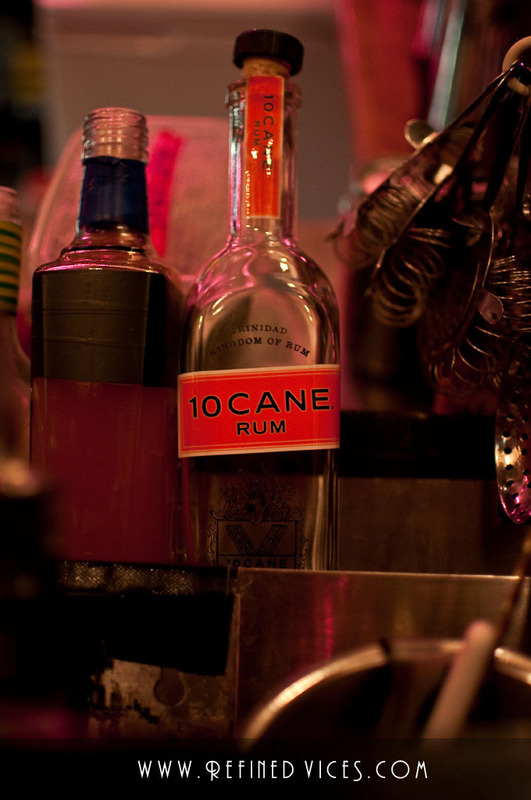 10 Cane Rum first arrived to the market in 2005 quickly receiving multiple awards and praises from many reviewers and to further improve the rum, Moët decided to reformulate it to make it even better than before and to give it a wider appeal. In addition to the new recipe the bottle has also gone through some changes in order to make it easier for bartenders to handle the bottle. While retaining most of the looks of the old style wide shouldered bottle, the new bottle is square and will also fit better in the shelves of a bar. Previously the rum has been produced completely in-house by Moët Hennessy in Trinidad from sugar cane juice, but the recent changes mean the average age of the rum is now higher due to additional ageing of the sugar cane juice rum as well as the addition of aged molasses based rums. The new blend contains sugar cane juice rum aged for 2 years as well as around 10% of molasses based rums aged for 4 to 7 years. We had the opportunity to sample both the old style and the reformulated 10 Cane side by side and while the majority liked the significantly sweeter reformulation there was a few who preferred the younger, pure sugar cane juice rum. Unfortunately for them, the older style rum is no longer in production and it might not be easy to find much leftover stock of the rum in Australia but the rest of us can enjoy the new, changed formula. As a final twist to the evenings tasting session a totally unexpected thing happened as everyone was given a free bottle of 10 Cane to take home! 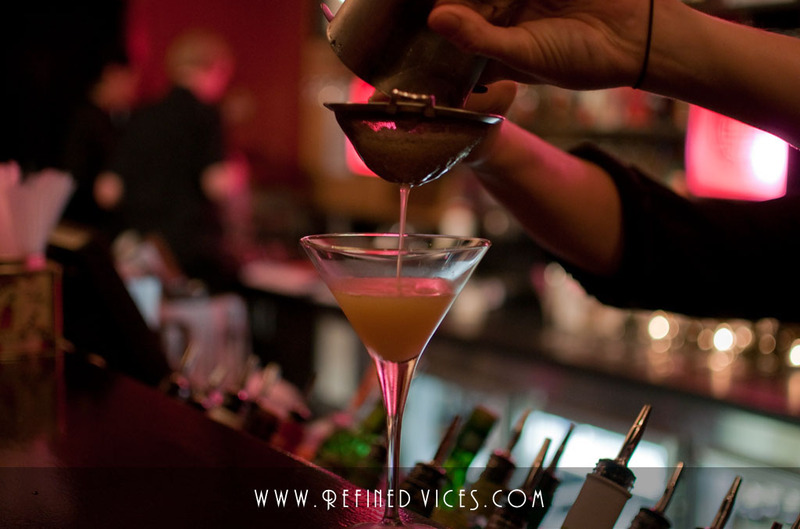 We at Refined Vices certainly look forward to trying different recipes with it. Not a bad start for the week! Check out the Refined Vices facebook page for more pictures or discuss 10 Cane in the forums!